We know Drives and Machines & Our Service Sets Us Apart!! Since 1969 we have been Designing & Manufacturing Custom Drive Systems for the Paper, Plastic, Rubber, Steel & Food Industries. Sabina's Family owned & Operated facility offers Digital DC and AC Vector & Sensor-Less Vector Drives in Stock ready for Immediate Shipment. We also stock DC Motors up to 800 hp & AC Motors up to 500 hp. We are the "One-Stop-Shop", complete with 24/7/365 Service & Repair Technicians, a full-scale panel building shop (with In-house Engineers), Sheet-metal Fabrication area and a Motor Shop with capabilities to handle your motors up to 2000 hp. We can Build and Custom Engineer any system for your application, and we can do it in less time than you might think! * USED - Good Condition *... Make me an offer!! prices and professional work on the smallest of jobs. No job is too small. 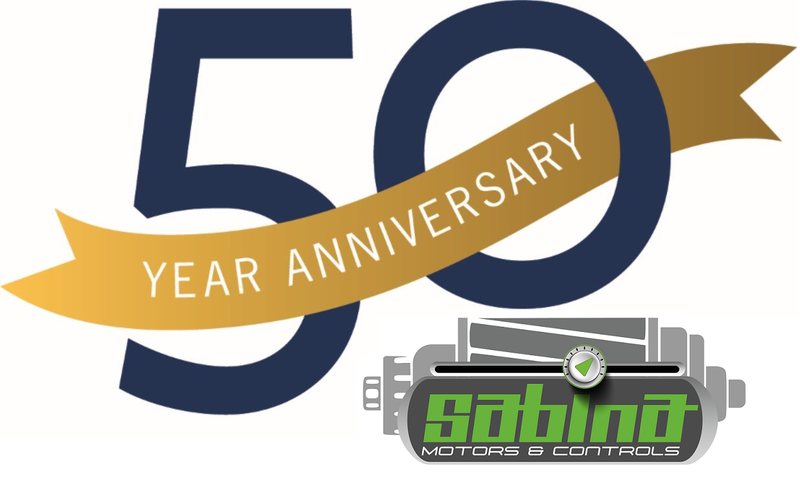 Sabina was one of the leading pioneers in the early solid-state motor control industry.